The lovely, New England state of Connecticut is home to all kinds of unique sights and attractions. One that you won’t want to miss is the picturesque Buttonwood Farm in Griswold, CT, which specializes in growing and creating the finest produce and food products around. Take a look at what this farm has to offer and make plans to stop by today! Found at 473 Shetucket Turnpike, the Buttonwood Farm in Griswold, CT, remains open from March 1st to October 31st every year. Their hours vary depending on the season, so make sure to give them a call at 860-376-4081 before you visit. You can also follow the Buttonwood Farm Facebook page to receive the latest updates on hours, events, and other important news. The Button family’s passion for producing good quality food products is apparent throughout this gorgeous farmland. The Buttonwood Farm’s origins can be traced back to the year 1975, when the Buttons used their own timber and resources to construct a dairy. The farm became the home to some friendly cows, whose milk is used to create delicious food products. The ice cream stand was also constructed by hand in 1997 and almost instantly become a popular attraction. There’s so much to do at the Buttonwood Farm at Griswold, CT! Discover some of the best activities to enjoy here. 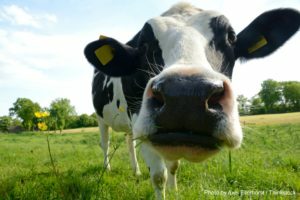 The Buttonwood Farm in Griswold, CT, specializes in creating the tastiest made-from-scratch ice cream! Choose from a wide spectrum of unique, mouthwatering flavors, such as chocolate brownie batter, maple walnut, frozen pudding, pumpkin, coffee mocha crunch, strawberry cheesecake, and a multitude of others. The corn maze at Buttonwood Farm is truly a treat for visitors of all ages! Spend time picking the perfect pumpkin from the pumpkin patch, trying to navigate your way through the tricky corn maze, climb to the top of the straw bale mountain, dive into the corn pit, and much more! Make sure to say hello to the numerous adorable farm animals here as well. The Buttonwood Farm contains one of the most beautiful sunflower fields in CT. People love to travel here from far and wide to take pictures or simply gaze at this stunning sight of countless bright, happy flowers bouncing in the breeze. 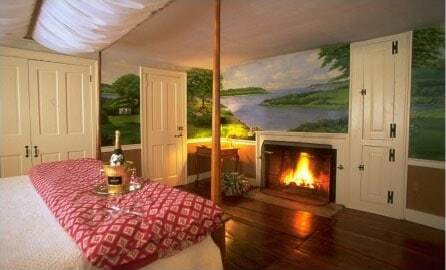 Complete your New England getaway by staying in the finest accommodations possible! 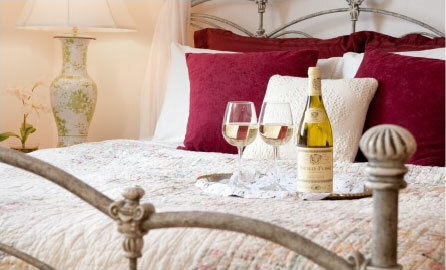 Stonecroft Country Inn is a cozy bed and breakfast in Mystic, that contains beautiful rooms, each fully equipped with all the amenities you need for a weekend of rest and relaxation. Attend the many annual events taking place in the surrounding area, or simply unwind in the peaceful environment our property provides. Our lovely haven in Connecticut is guaranteed to provide you with all the comfort and luxury you could ever need, so what are you waiting for? Check our availability online right now so you can start planning the trip of a lifetime!